This post is an extension of the Conversations with Creative Waco radio program on 103.3 KWBU fm, where we take you behind the scenes of art and culture in Waco. Catch us live on the fourth and fifth Friday of every month at 11:30 a.m. and 8 p.m.
On June 19, 1865, news of black emancipation from slavery made its way to the furthest corners of Texas. This event would later come to be known as Juneteenth, an American holiday especially celebrated by communities in the south. Waco's annual Juneteenth Weekend Extravaganza is the largest celebration of African-American heritage in Waco, drawing a diverse crowd from across the Central Texas region and beyond to celebrate the importance of health, family, and creative identity in black communities. On this week's episode of Conversations with Creative Waco, we chat with Juneteenth coordinator Sophia Strother about how the festival, slated for June 15-17, has expanded to celebrate more aspects of black culture than ever before. From an internationally recognized musical guest to a brand new scholarship pageant, the Juneteenth Extravaganza is bigger in every way. All members of the community are invited to join the weekend of celebrations! Check out each linked facebook event for time and location details. A new event, the scholarship pageant will provide $5,000 in scholarship awards to a male and female high school student from the Waco area. 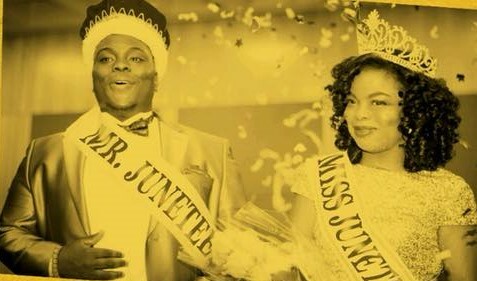 The pageant will be held at the Waco Hippodrome, providing the perfect stage for students to earn the title of Mr or Miss Juneteenth through singing, dancing, acting, spoken word, and poetry. The winners will also be provided with resources like college tours, college prep resources, and etiquette skills. This event is free to the public. 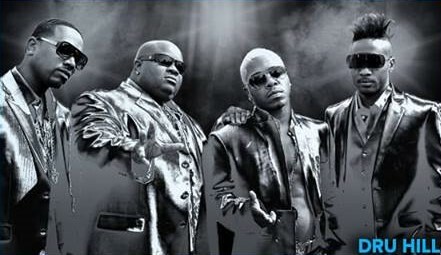 The longest running portion of the festival, Family Fun Day will include food, art, and musical performances by Dru Hill, Bigg Robb, and more. Additionally, the event aims to raise awareness of various health issues in the African-American community, so there will also be a number of community and health services provided by festival sponsors. Pre-sale tickets are $15 and can be purchased here. This new showcase of black artistry will take place during Family Fun Day. The exhibition is being curated by the Central Texas Artist Collective, or CTAC, a local group of professional artists in the McLennan County area, and aims to shine light on the forgotten history of African-Americans. Curators are accepting works from black artists across Texas. The final event of the Juneteenth Weekend Extravaganza will be the Father's Day Gospel Blowout. The celebration will use music to recognize fathers, father figures, and black families on Father's Day. Grammy-winning gospel musician Myron Butler will headline the free event, along with performances from community groups. Although it isn't technically part of the Juneteenth Weekend Extravaganza, the annual Juneteenth Parade will be from 9-11:30 a.m .on Saturday, June 16, before Family Fun Day begins. The parade is a beloved community tradition organized by the Cen-Tex African American Chamber of Commerce, and is another fantastic way to celebrate the creativity and culture of African-Americans in our city.